The art of denim doesn't have to be difficult. Keep it absolutely stylish yet simple with these easy how-to steps to get the right denim for your curves. 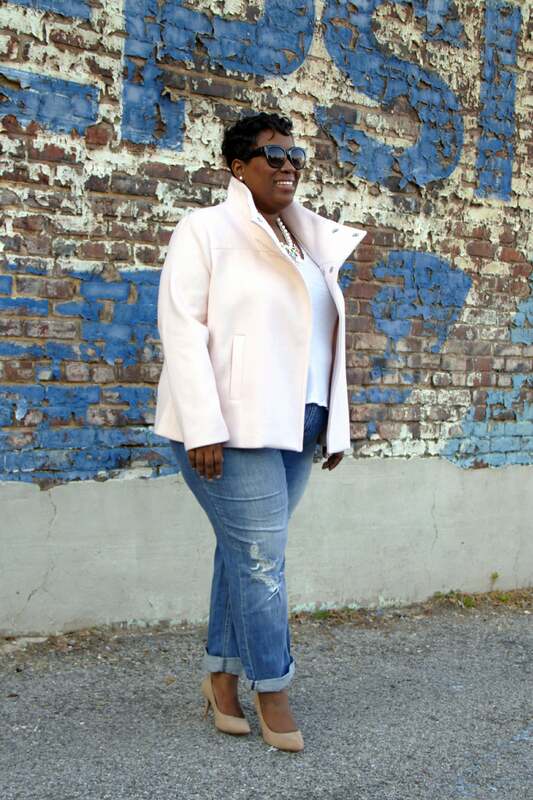 Decked out in denim divine, Thamarr shows us how to double our denim with ease. 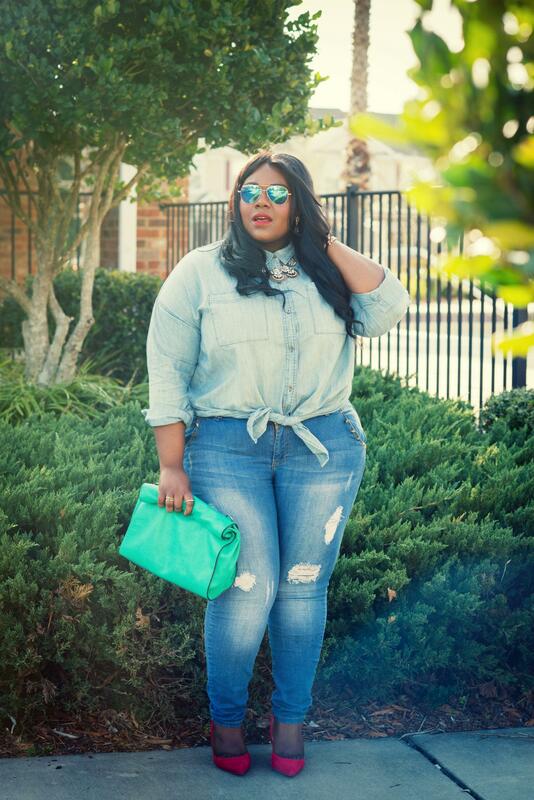 This stylish blogger displays how to do your curves justice in a pair of destructive skinny jeans and a tie-up chambray top. Remember divas, to flatter your physique, try a pair of easy skinny ankle jeans. The heavily distressed details, combined with a sleek fit, makes for the perfect “just add a t-shirt” feel. For up-top, a staple chambray blouse is an essential for your wardrobe. Make sure to add a staple necklace to create a flattering neckline, or a simple tie at the bottom to amp up your frame. Chambray Button-Front Shirts, Old Navy, $25, oldnavy.com. Button-Down Chambray Tie-Front Shirt, INC, $55, macys.com. Skinny Jeans With Ripped Knee, ASOS, $59, asos.com. Classic Skinny Jeans, Forever 21, $24.95, forever21.com. Denim is having more than a moment. 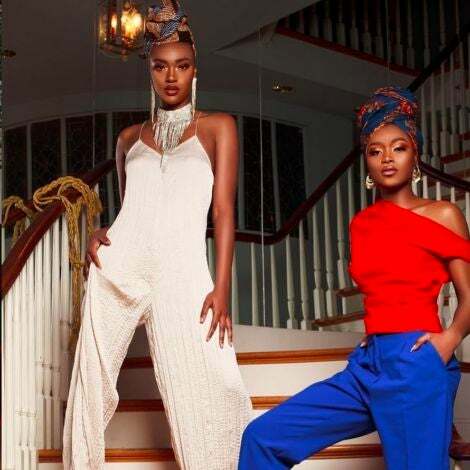 Everyone’s familiar with how mod this material can be, and Essie Golden shows us how to rock this street-style ready jumpsuit. 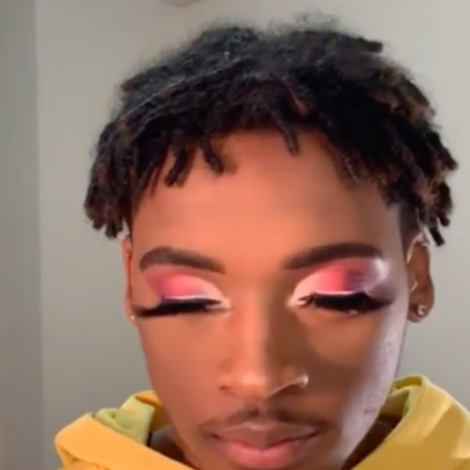 Ladies, take note! Cool buttons and a sleek pair of pumps only enhances the look. The cinched pockets at the waist and distressed detail enhances Essie's figure, while leaving her pretty fabulous if we must say so ourselves. 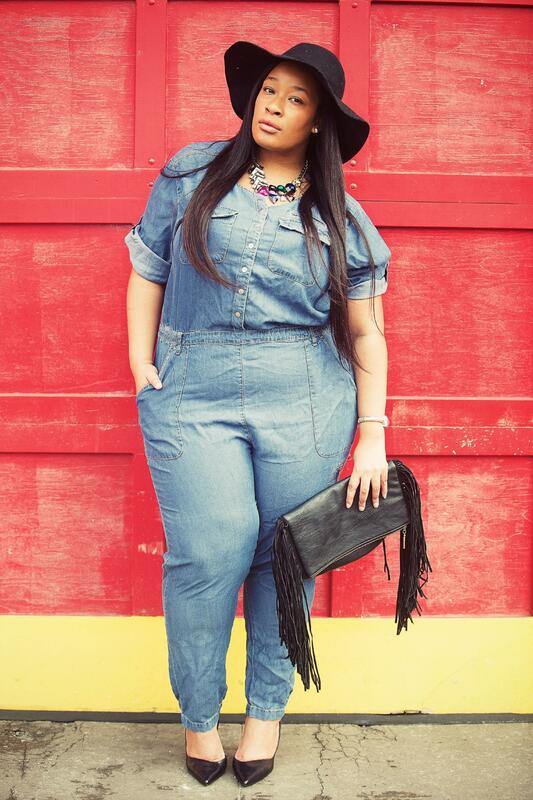 To top off this ensemble, take tips from this curvy chica and add a statement fedora and a fringed clutch. 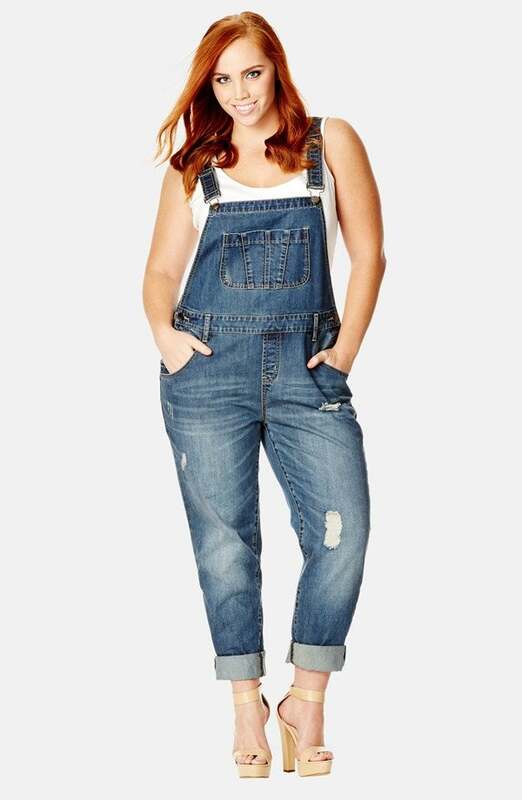 Denim Jumpsuit, Simply Be, $89.95, simplybe.com. 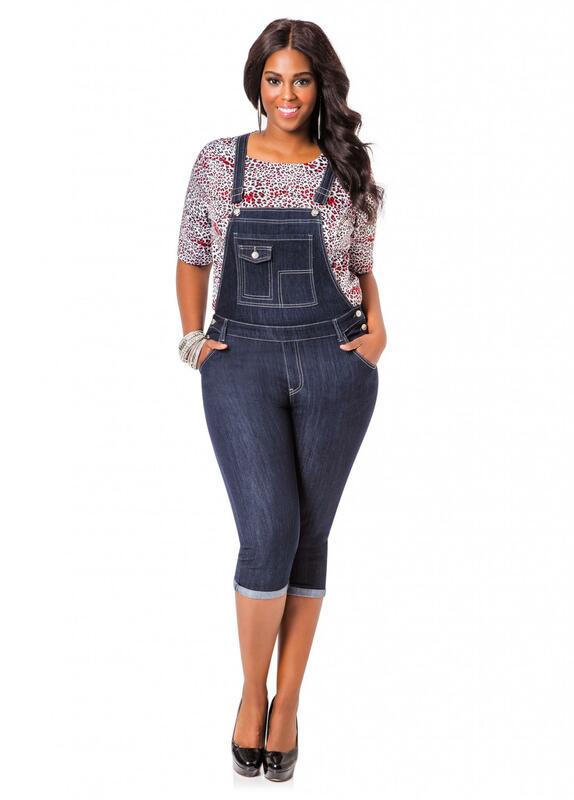 Capri Overalls, Ashley Stewart, $34.65, ashleystewart.com. 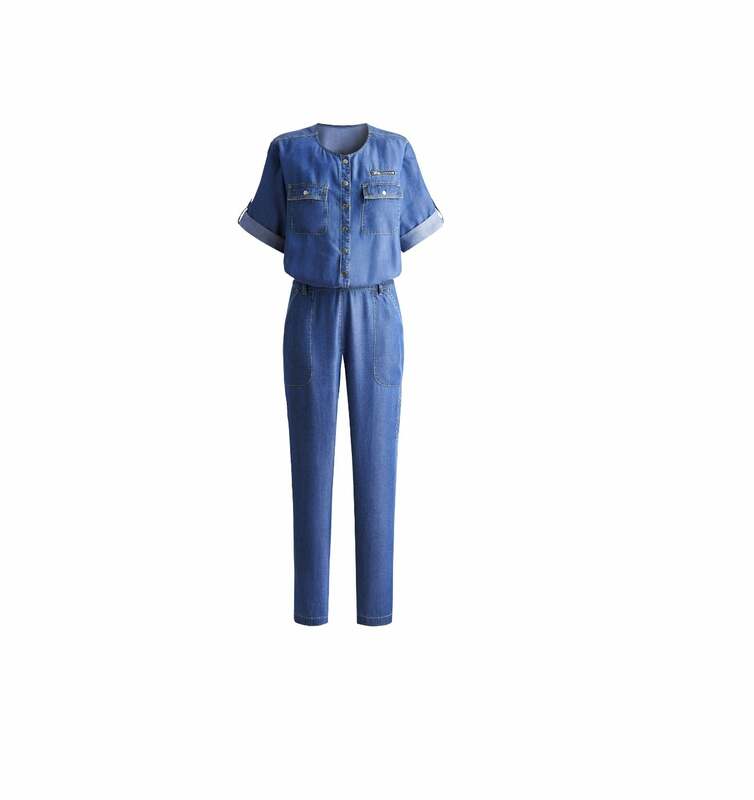 Spoon Denim Jumpsuit, $39, Alloy Apparel, alloyapparel.com. Distressed Denim Overalls, $99.95, Nordstrom, nordstrom.com. You are in need of a date with the perfect boyfriend jeans! When it comes to your gorgeous feature, tailoring is important. Make sure you feel relaxed at the waist, and slightly loose at the bottom, for an all-around stylish look. Want to magnify your boyfriend denim moment? Roll up the bottom part of your jeans and add a tailored trench with a sleek bootie to take you right into spring. 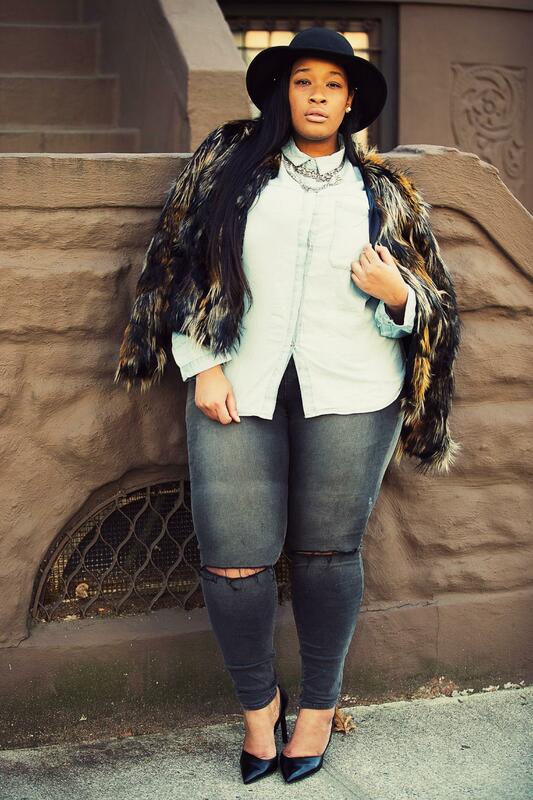 Jeniese keeps it fresh and fab in a pair of distressed BF structured jeans. 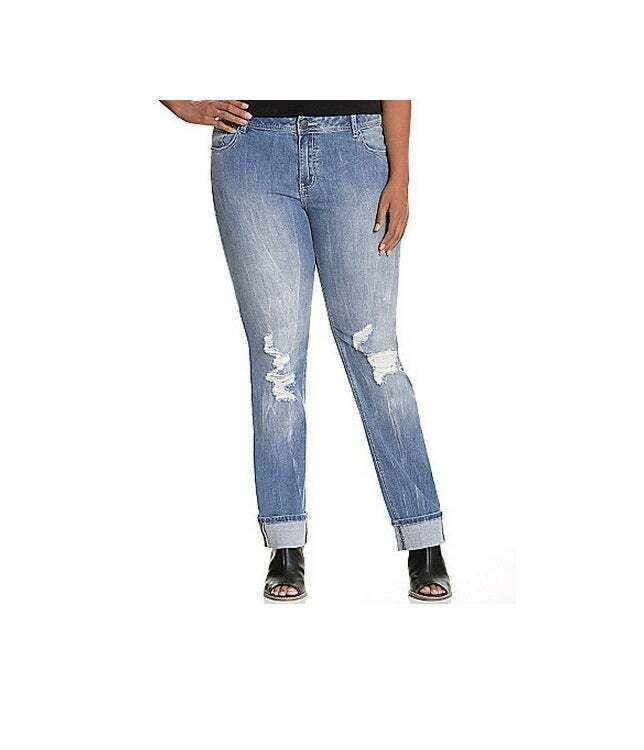 Distressed Straight Leg Denim, Lane Bryant, $49.99, lanebryant.com. 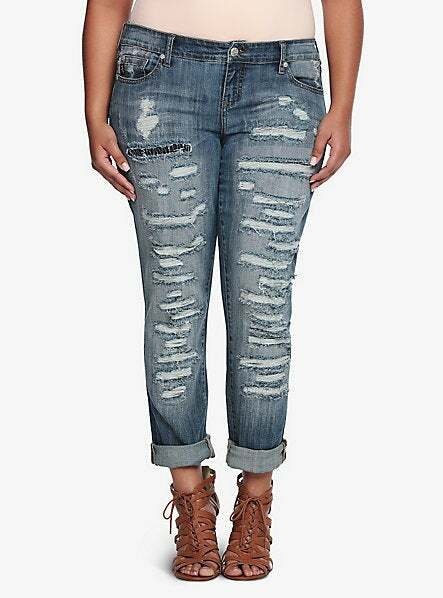 Boyfriend Jean - Medium Wash with Destruction, Torrid, $98, torrid.com. 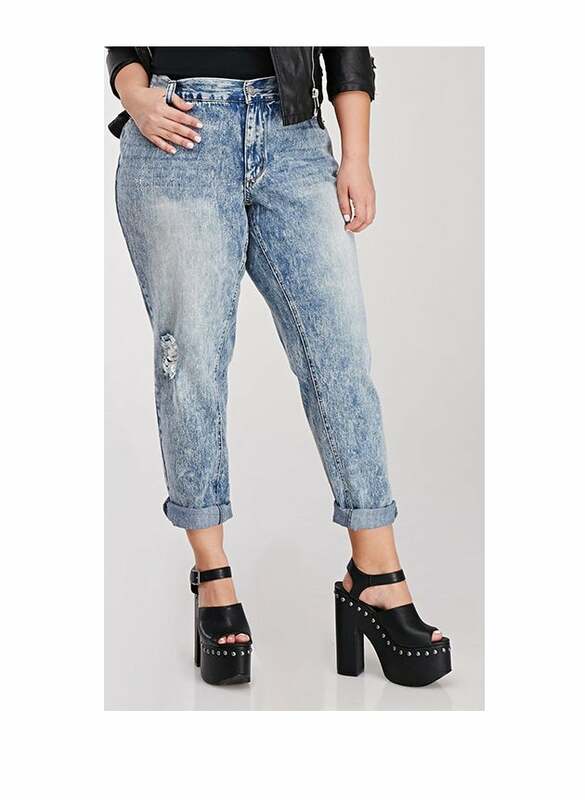 Acid Wash Boyfriend Jeans, Forever 21, $27.90. forever21.com. Acid Wash Denim Jacket, Ashley Stewart, $31.15, ashleystewart.com. Curvy ladies, get a laid-back feel while doing your frame justice by pairing a flowy chambray top with a pair of high-waisted skinnies. This mixed ensemble will instantly slim your waist while showing off your striking curves. Ms. Golden amps up her look by adding a multi-hued fur that’s an absolute statement piece. 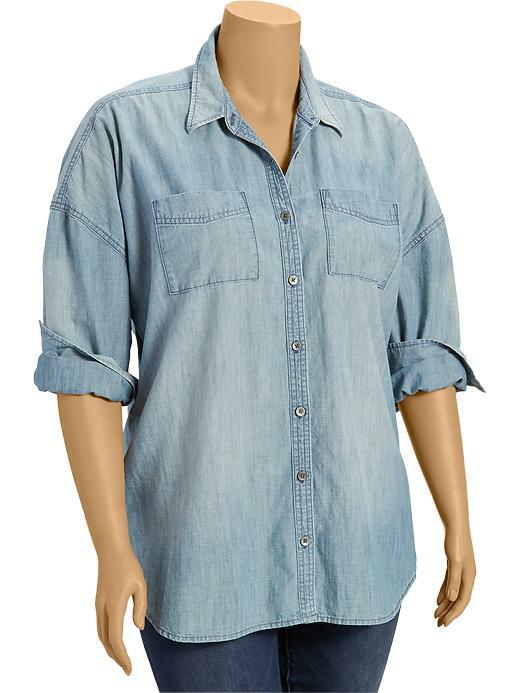 Bleach Wash Denim Shirt, FTF, $28.50, fashiontofigure.com. 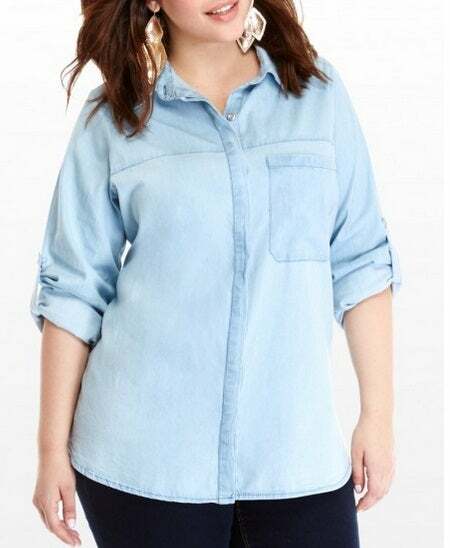 Dip Dye Denim Shirt, $14.98, Avenue, avenue.com. 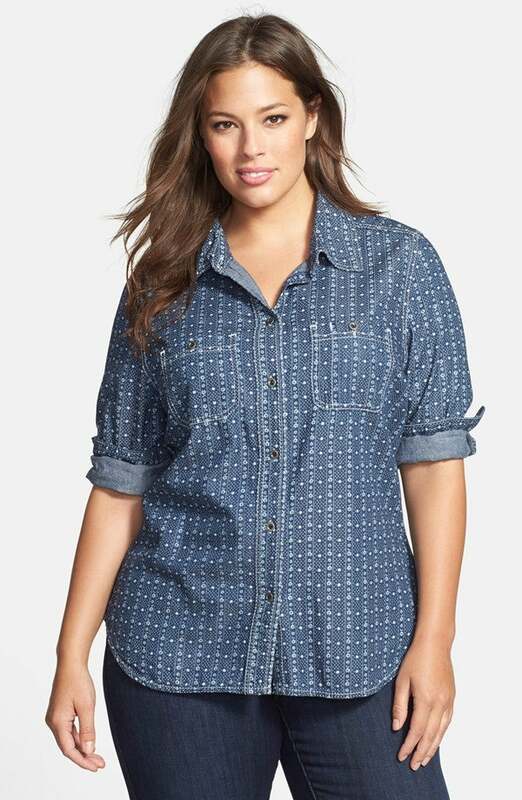 Print Denim Shirt, Seven7, $69, nordstrom.com. Skinny Washed Black Jean, ASOS, $59, asos.com. 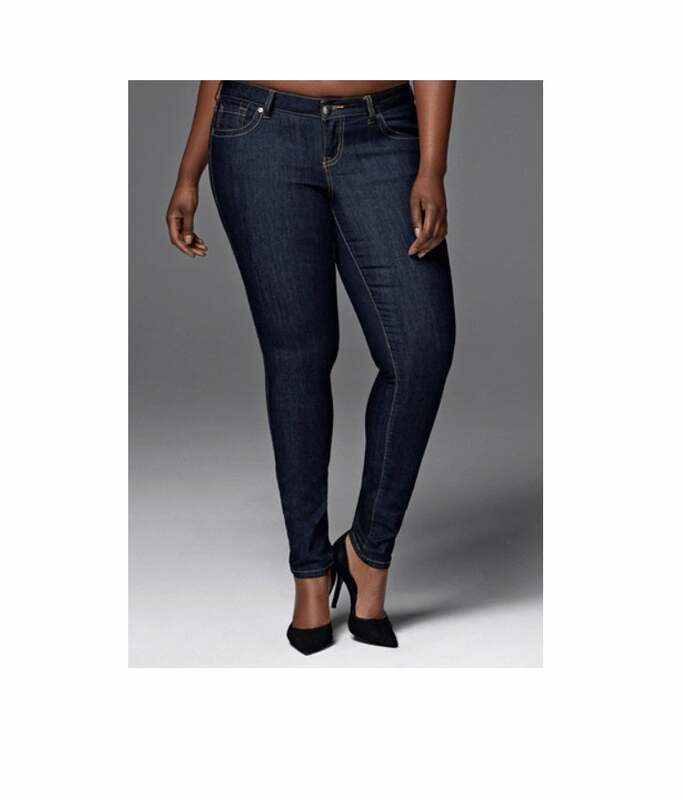 Skinny Jeans, Madison Wash, Macys, $64, macys.com. Zebra Print Skinny Jeans, Ashley Stewart, $31, ashleystewart.com. 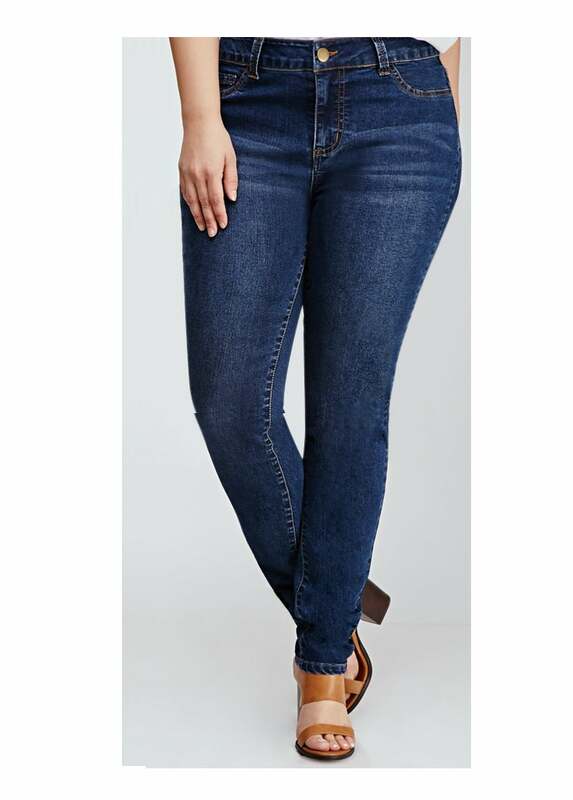 Skinny Jean - Dark Rinse , Torrid, $58, torrid.com.